Elzie Joseph Matthews, Jr., 63, of Winnie, died Monday, March 25, 2019. 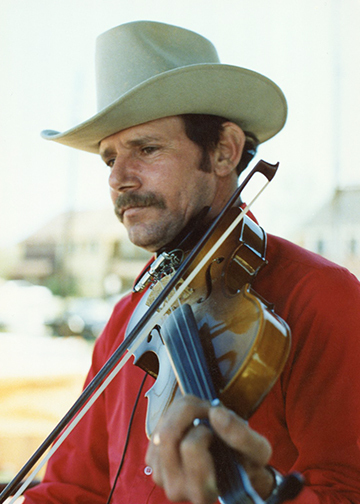 He was born on October 19, 1955, in Crowley, Louisiana, to Eva Jean Breaux and Elzie Joseph Matthews, Sr. Elzie played the fiddle in numerous Cajun bands and enjoyed cooking and barbecuing. Survivors include his wife, Donette Matthews, of Winnie; daughters, Amanda Rodgers and her husband, Jon, of Dayton; and Grace Blackburn and her husband, Dustin, of Liberty; son, Duane Matthews, of Sulphur, Louisiana; grandchildren, Madison and Morgan Matthews, Lilliana Martinez, Harrison Rodgers, Ivan Martinez, Jackson, Dominick, Allison and Dylan Blackburn, and Bridget Sumrall; great-grandchild, Skylar Sumrall; mother, Eva Jean Matthews; brothers, Herman McFarlin; Robert Matthews and his wife, Cheryl; Mason Matthews and his wife, Marsha; and Wayne Matthews; sister, Julia Trahan and her husband, Swendale; and numerous nieces and nephews. He is preceded in death by his father and sister, Hilda Faulke. A gathering of Mr. Matthews’ family and friends will be from 5:00 p.m. until 7:00 p.m., Sunday, March 31, 2019, at Broussard’s, 134 West Buccaneer Drive, Winnie. A private committal was held at Broussard’s Crematorium, Beaumont. Heaven now has music for all the Angels to hear your fiddle and dance as you play. Praying for the Matthews Family, we will miss you dearly, you left us some great memories that we will cherish forever, we love you all and are praying for peace and comfort for you all!